January 27, 2019 | RESCUED! 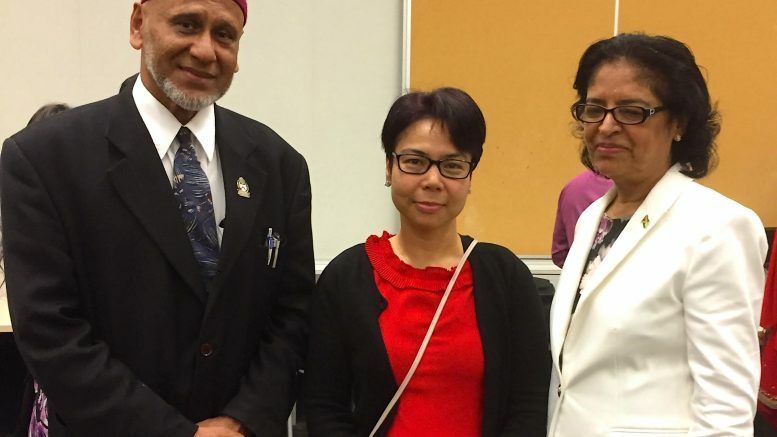 Hajji Omar Farouk, President of The International Muslims Organization of Toronto, a Canadian-Guyanese Muslim, was invited to deliver a message on behalf of the Guyanese Expatriate Muslim Community at an Inter-Faith Service commemorating the 52nd Independence Anniversary of Guyana. The event was held under the auspices of the Consulate General of Guyana on Sunday 24th June 2018 at the Scarborough Civic Centre, Toronto, Canada. The following is the text of Haji Omar’s message in which he reflects on the legacy of Muslims of Guyana and the lessons taken from their community and nation-building struggles. Your Excellency Mrs. Clarissa Riehl, Guyana’s High Commissioner to Canada, Bishop Joseph Fisher of Pickering, Pandit Joe Jaglall, Mrs. Sherma Mitchell, and all the wonderful people who gathered us here to celebrate Guyana’s independence…Thank you. The memories that we hold and cherish of our lives in Guyana has been a source of inspiration for our lives here in Canada. And while we have been busy making new memories for ourselves and for our children and grandchildren, I will be forever grateful to the men and women of generations past who envisioned a country of ONE PEOPLE, ONE NATION AND ONE DESTINY. Muslims have been a major presence in Guyana since African slaves began arriving in the mid 18th century. 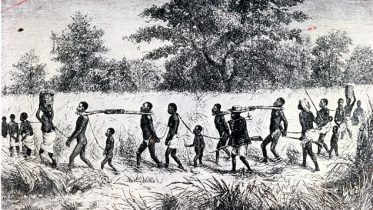 My ancestors, representing two great religious traditions, began arriving in Guyana from India in the mid-19th century. They built places of worship well before they would have built their own homes. One of the very first mosques to be built was an open-air mosque in Canje that is fortunately still preserved to this day. By 1891 there were 20 mosques in Guyana. 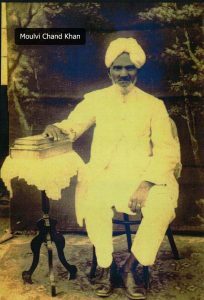 Hajji Gool Mohammed, a passionate advocate for Muslims in Guyana, led the charge to build the Queenstown Jama Masjid in Georgetown in 1895. Today, that mosque, first built of hardened Guyana timber, has only now been replaced with a wonderful concrete structure that has become a landmark in Georgetown. Preservation and continuity of Muslim religious traditions have been a vital theme throughout our lives – in Guyana and in Canada as well. Muslims who lived in Guyana pre and post-independence have struggled in myriad ways to preserve the Islamic tradition and hand it down to us relatively intact. As Muslims spread out across Guyana, communities vied with each other to construct mosques as places to gather the believers, to honor the tradition and to ensure that generations to come could do likewise. I recall a beautiful supplication or a Dua’ written in Urdu and translated into English that was published in 1947. 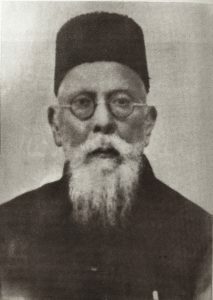 It was penned by one Budhu Chand of Mackenzie City on the East Bank of Demerara. His Urdu is remarkable, although I am not sure who this gentleman was, Mr. Chand prays for God’s aid to help his community give birth to a mosque of their own. In thine infinite power to a congregation gives birth. Now in this little England to a Great Leader give birth. For the acceptance of this request to a pathway, O Allah, give birth. This prayer echoes in my heart. In my own words, I might have prayed this prayer a thousand times seeking Allah’s help for me and my community to build a mosque here in Toronto. And for what? Like my ancestors, to preserve and continue a sacred tradition that allows us to serve God’s creation – the poor, the unfortunate, the broken-hearted and the downtrodden…much like the remarkable work that Bishop Fisher is doing in Pickering. So, on this joyous occasion, we pray that Almighty God bestow us the continued ability to forge a lasting bond of friendship and cooperation, and we seek His wisdom and patience in realizing the lofty ideals of our Guyanese forefathers here in Canada. I ask Almighty God to assist our leaders to be just and fair in all affairs. We pray to Allah to shower His Divine Mercy on the people of Guyana. Bless our youth – men and women – from the scourge of drug addiction, depression, sexual assault, extremism, and fanaticism. And finally, on this occasion of 52nd Independence anniversary, may the people of Guyana, at home and abroad, enjoy happy and prosperous lives. An Address delivered by Professor Sir Hilary Beckles, Chairman of the Caricom Reparations Commission, House of Commons, Parliament of Great Britain, Thursday, July 16, 2014…. BARBADOS MUSLIMS TO FELLOW BAJANS “ALL ARE WELCOME”!